So with the discount code I decided to splurge on the face brushes, because I've learned that a good face brush is the secret for a flawless face no matter what the foundation/base is. So I finally decided to get the Sigma Beauty Kabuki Brush set which include the F80 Flat Kabuki Brush and the F82 Round Kabuki Brush. This comes as a set and I think it's really worth the price. The F80 brush is ideal for applying foundation, while the F82 brush is great for finishing a look with powder. This set originally costs IDR 434,500 (around $40) so with the 35% Off it was reduced to IDR 282,400 (around $25). So it was worth the discounted price. I didn't get any extra/bonus from my first Luxola haul but I got quite a few of extra/bonuses on my second haul. So not all the items you see above are my hauls. Some of them are the extra/bonuses that I got from Luxola. And I was so excited with the amount of bonus that they sent me, I didn't really bought quite a lot of products but they did sent me some samples which I have been itching to try! The rest are freebies, which include (among others): Balance Me Pure Skin Face Wash and the Alpha H Liquid Gold which I've been dying to try out since I've read so many good things about these two brands from other beauty blogs. I remember I still got a Perfect Beauty voucher that I haven't used and it was due on December 31st, so I rushed to the website and found these two beauties on my Perfect Beauty's wish list tab. 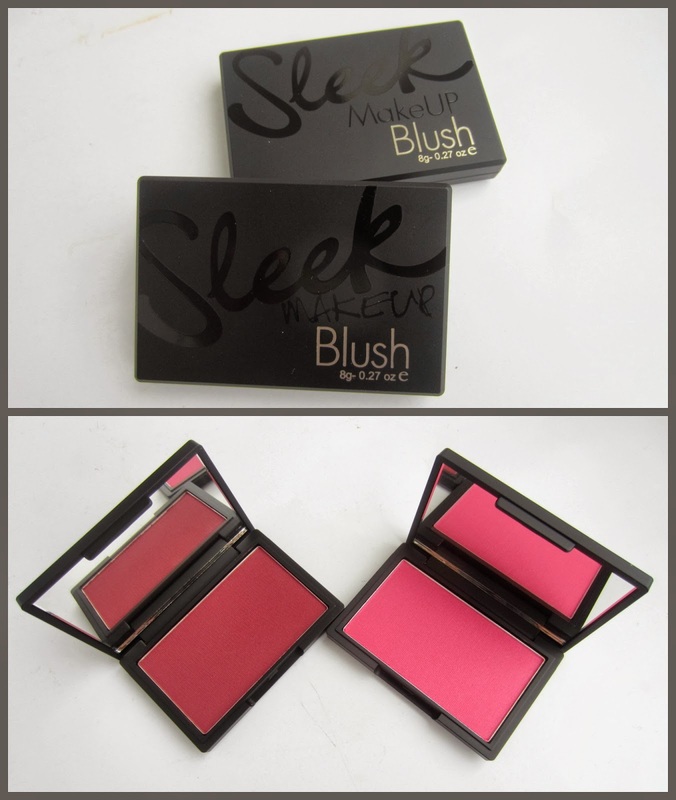 I was into blushes during December so I splurged on these two blushes using my discount voucher that reduced the price a little bit. Perfect Beauty have a few color options of the Sleek blushes on their webstore, but after a few days of browsing around I finally decided to get these two different shades. The left one with a brick red color is called Flushed which is said to be able to give a flushed cheek look with natural reddish shade on your cheek, just like you've been jogging in the cold. And the right one above is called Flamingo, with its deep pink shade which is said to be able to give a fresh pinkish cheek and suitable for most skin tones. Can't wait to try these out! I got the Chocomania set and the White Musk Classic set. Both of these sets were on sale so I got a pretty good deal with this boxed set. Each set includes a shower gel, a body lotion, and a shower puff. The white musk set is definitely for yours truly a.k.a Me ;) Because TBS white musk is kind of my signature scent (or at least I think it is). And the chocomania set below is a present for my sis in law's birthday that falls near christmas. Now I only have to buy the body mist to complete my TBS white musk collection. My usual supermarket haul didn't include a lot of products as it usually is. That's because I still have my stocks and didn't need much new products either. I only get the Garnier Pure Active Multi-Action Toner because I wanted a new toner and this was on a sale rack, Enchanteur Perfumed Talc in Alluring ( I got this out of nostalgic feel because my mom used to have Enchanteur talcum powder when I was a kid) - and I also love the pretty vintage feel of the packaging. I also got a Viva Nail Polish Remover (I'm almost out of polish remover), Eskulin Fresh Cologne Princess Collection in Belle (definitely because of the princess-y packaging ;p), and the Vivelle Spa Systeme Collagen Face Mask. Last but not least, the department store beauty haul. 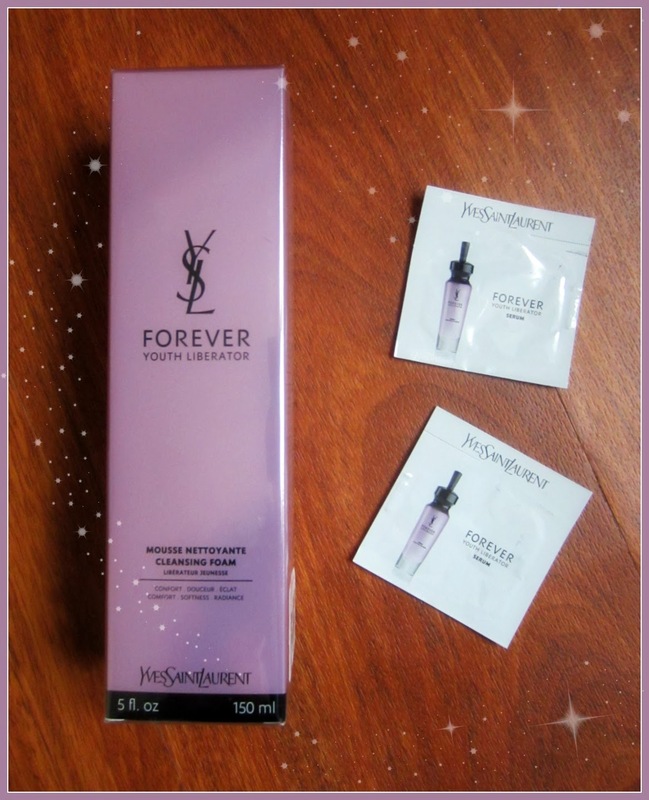 There was only one haul from the dept store beauty section which is this YSL Forever Youth Liberator Cleansing Foam. I asked the sales girl which of the YSL Youth Liberator product that I should try beside the serum, and she suggested this cleansing foam. I was also given a couple of the Forever Youth Liberator Serum samples to try out. That's it for my last hauls of 2013! If you want to follow my shopping diary please subscribe to this blog or just simply follow this blog. You can also add me on instagram where I usually also post my hauls and other daily snaps. What are your last haul of 2013 or what is your first purchase of 2014?